The GL863 L provides an abundance of room for six users with one of those seats being a lounger seat. 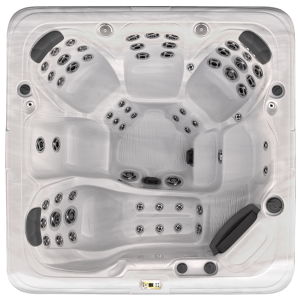 Equipped with 63 grey & stainless steel jets, you can relax and enjoy the benefits of hydrotherapy in this extra deep spa. 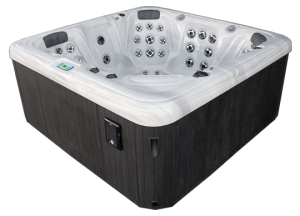 Two fountains, air and water controls, LED mood lighting and large foot jets provide the ultimate in luxury. Reducing pool depth reduces risk.